Resorts World Genting SkyAvenue Attractions. 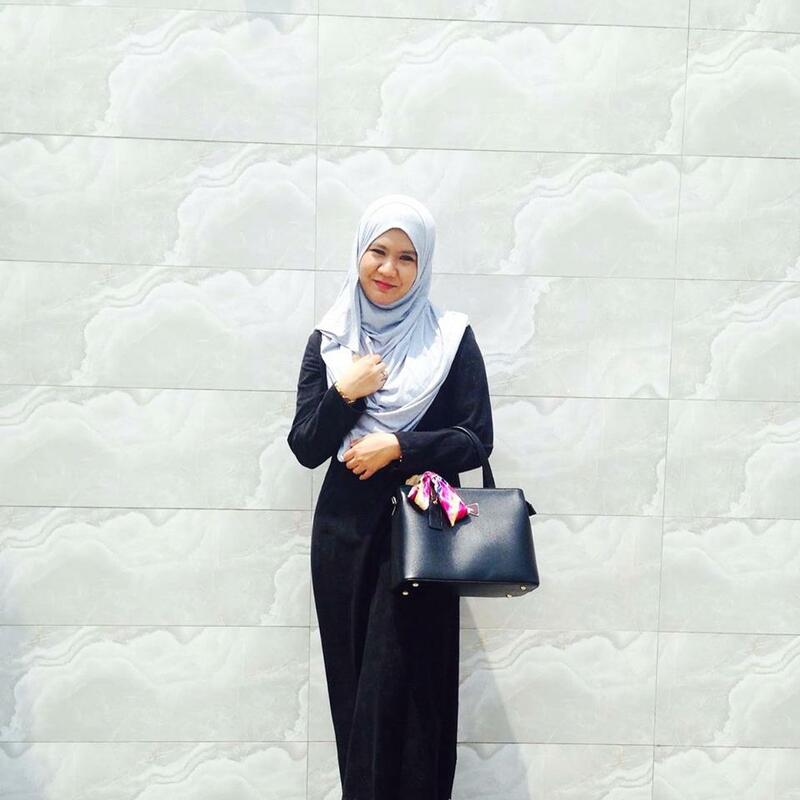 Hi everyone, Remember my previous post from the 3INA entry? 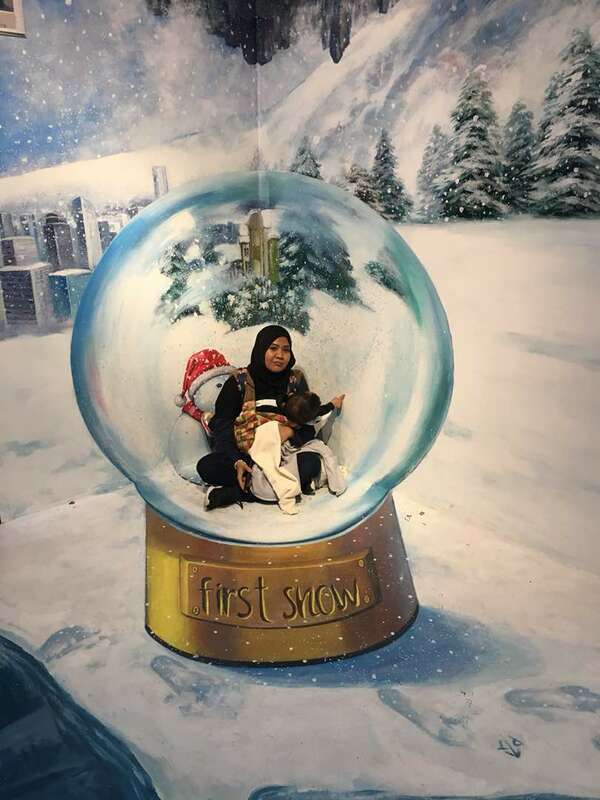 Yup, about my visits to Resorts World Genting 2 weeks ago. Resorts World Genting is totally a new place with so many exciting attractions await at Level 4 of SkyAvenue. After we had lunch that day, we head on to Level 4 of SkyAvenue. 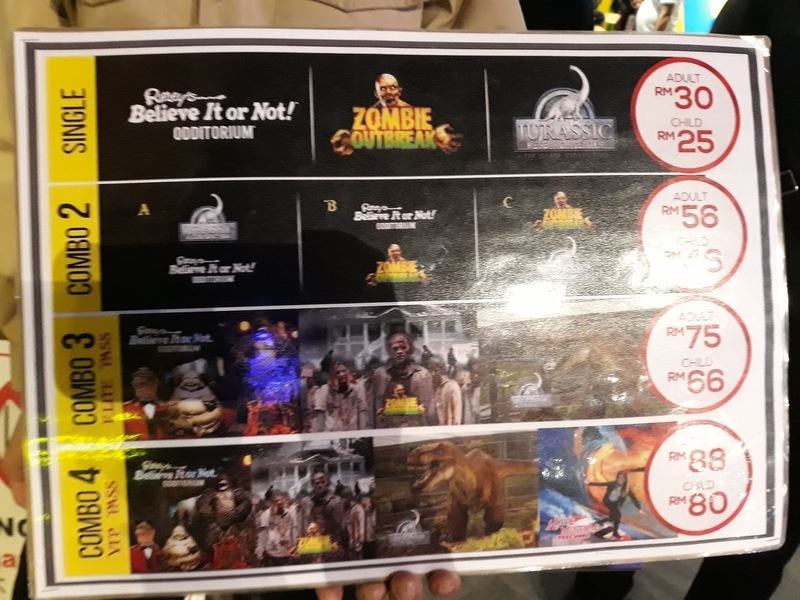 At the Level 4 SkyAvenue visitors can look forward to dinosaur rides, zombies, oddities and a trick art museum and others attraction. To those who think they’ve seen it all, they thought wrong. From dinosaur rides to zombies, there are plenty of exciting attractions that await at Level 4 of the SkyAvenue lifestyle mall at Resorts World Genting. If your children are grown up or not, there is surely something to provide entertainment for the whole family among the clouds, 6000 feet above sea level. Not only that, visitors seeking thrills, learning, or even art will surely be satisfied. 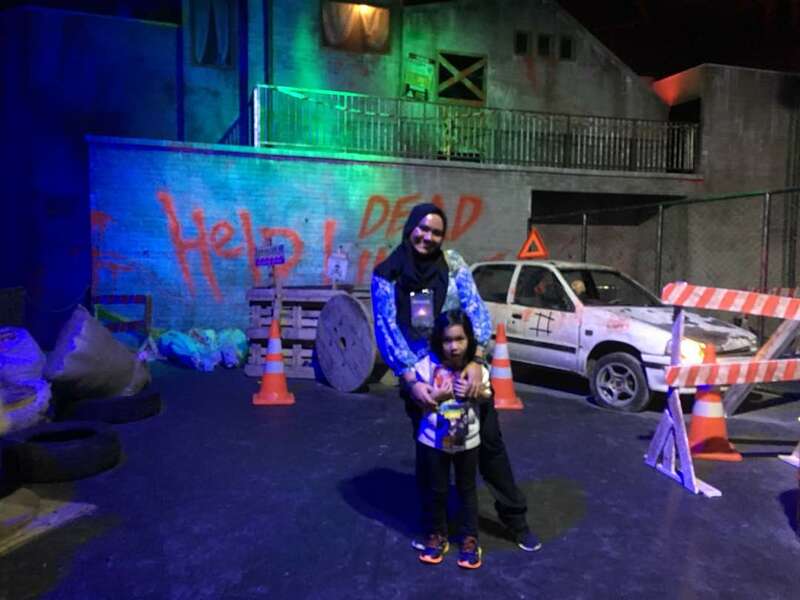 Besides visiting the Skytropolis Indoor Theme Park, visitors can easily spend a day here with never a dull moment. 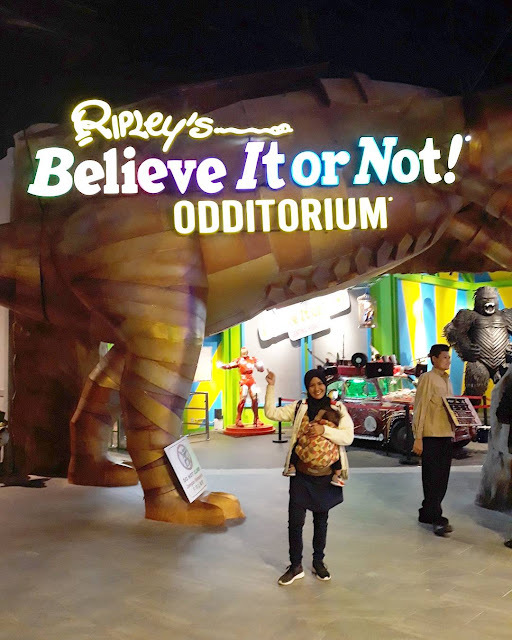 Our first stop at Level 4 SkyAvenue is Ripley's Believe It or Not Odditorium, Believe It or Not, from the first step you enter the Odditorium you will be amazed with it. You will immediately be greeted by armored elephants as they flap their massive ears. 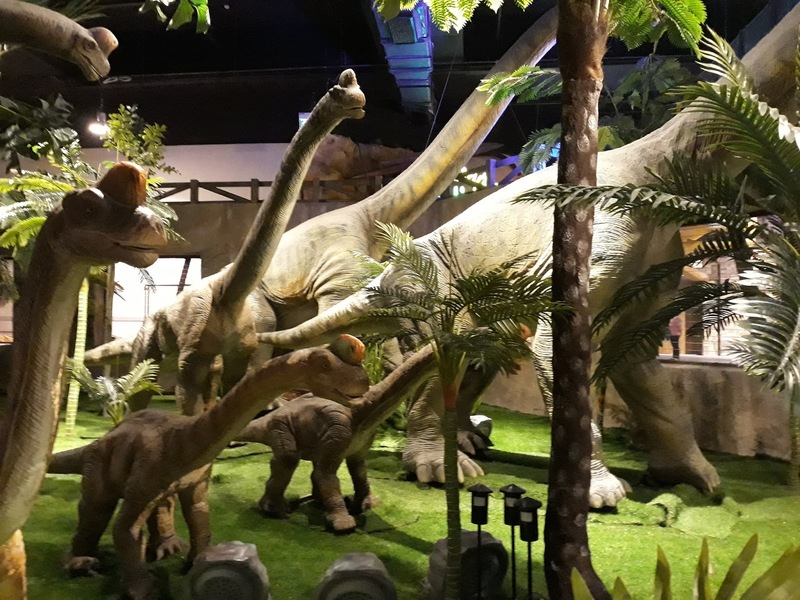 Ripley’s Believe It Or Not Adventureland takes it to the next level as children will have the time of their lives as they go on a ride on moving dinosaurs such as the Triceratops and Parasaurolophus. Even the ticketing counter is one of a kind with a massive model of a Trojan horse. Those like me who into anything and everything extraordinary will have a spectacular time at Ripley’s Believe It Or Not Odditorium. 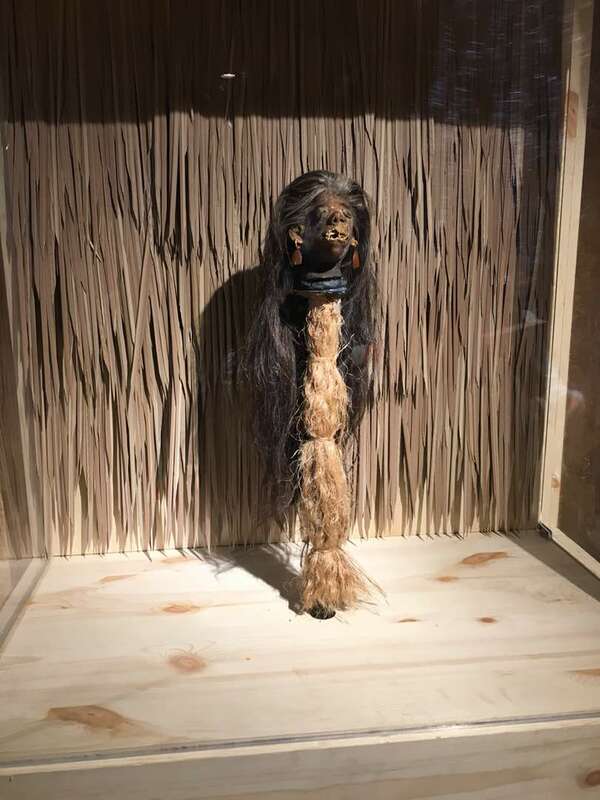 Boasting over 400 exhibits, a cabinet of curiosities including artifacts of lost worlds has arrived at Resorts World Genting for a time of wonderment and interaction. The bizarre and wacky collection includes the model of a Vampire Woman, Mike the Headless Chicken, and a model of David Beckham’s legs made out of worn-out bills. Those in search of great wealth and prosperity can visit the lucky room where they will find a collection of lucky charms from different tribes from all four corners of the globe such as Ho Tei: The Good Luck Buddha where visitors will be granted happiness if they make a wish whilst rubbing his enormous belly. There is also a fantastic model in commemoration of the World Trade Centre made entirely from matchsticks. 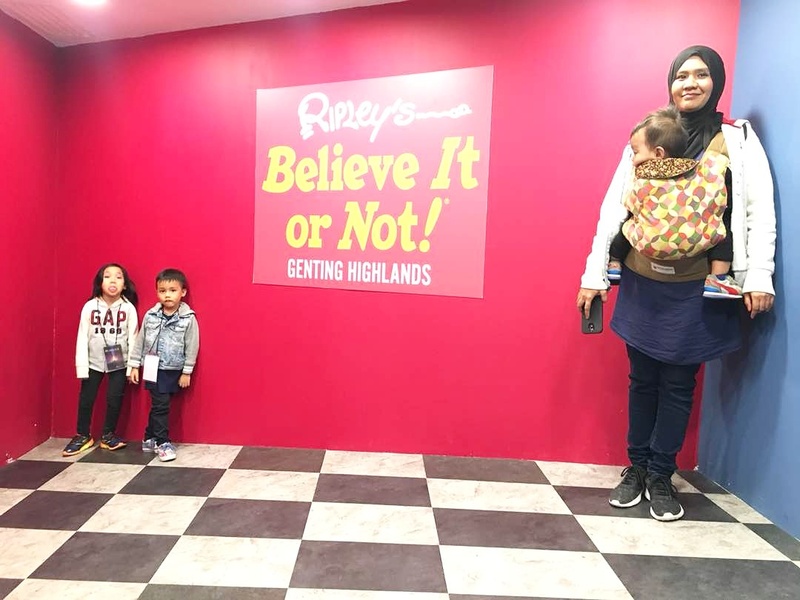 Ripley's Believe It Or Not Odditorium is not only a place to be amaze but it is a place where the whole family can learn and discover new things in this world. Kids especially will enjoy themself discovering new game, new freaky things and it is good as part of learning process. So next we head on to The Jurassic Research Centre and this is the main reason I will to take my kids for this trip, they want to meet Dinosaurs. But it was a chaos cause Fateh starting to cry scared of the dinosaurs. Hew hew.. 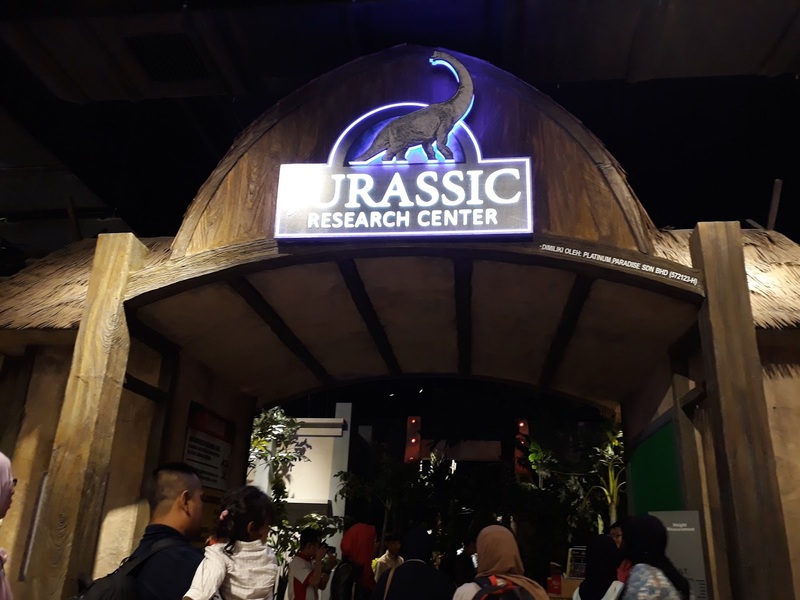 The Jurassic Research Center is the answer to everyone’s childhood dreams with massive figures of different species of dinosaurs spread throughout the centre such as the Brachiosaurus, the Triceratops or even the sabre-toothed tiger. There is no better way of learning than interactivity and this centre does that best. Visitors will be startled when a Tyrannosaurus Rex magnificently roars as they walk by and witness a strange looking Gigantoraptor rear its head at them which really brings the place to life. 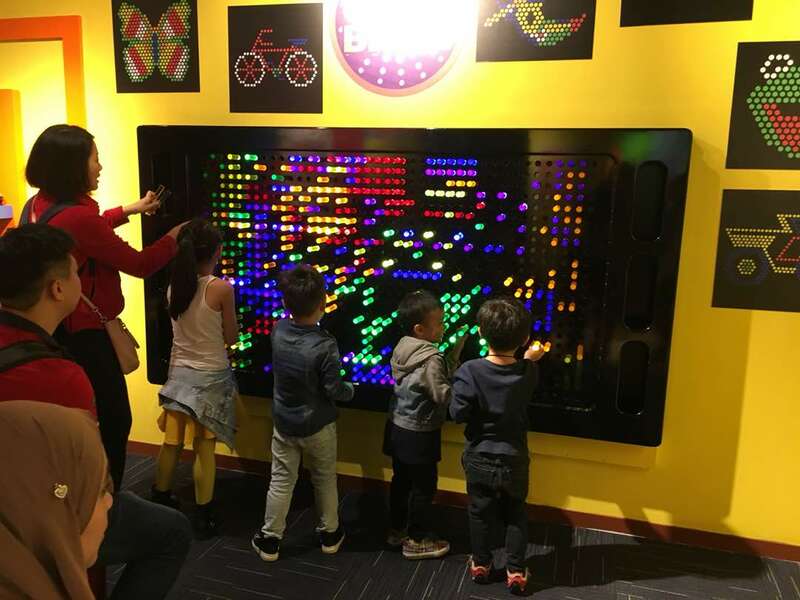 Next stop was Alive Musuem. 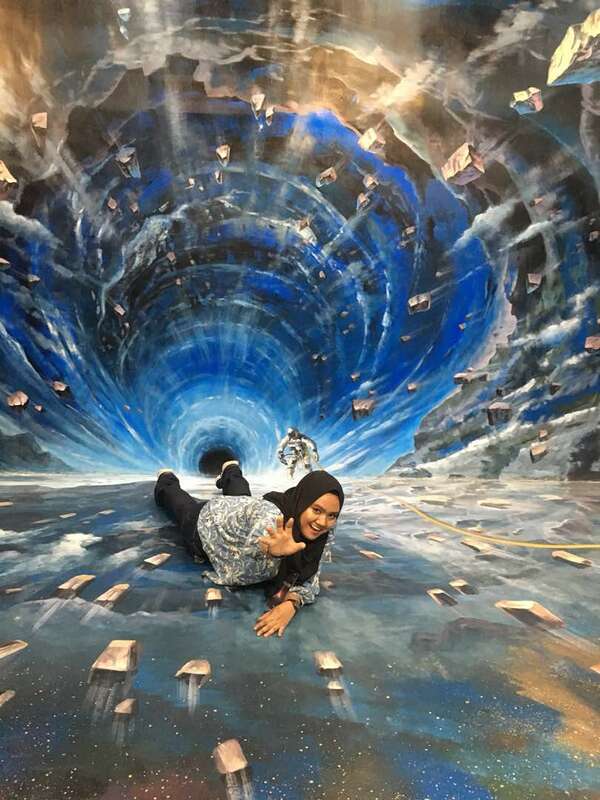 At Alive Museum, visitors will enter a world fun and engaging optical illusion art. With the artwork specially commissioned by artists from South Korea, the skilful brush strokes, careful details and amazing choice of colours result in the wonderful 3D images. 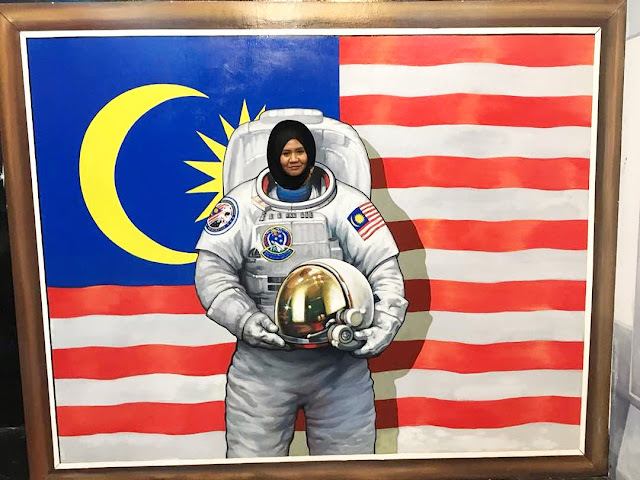 Those familiar with the Korean wave or Hallyu will be thrilled to see paintings of famous celebrity figures such as Lee Kwang Soo, Gong Yoo and Song Joong Ki and for the chance to take a photo with them. 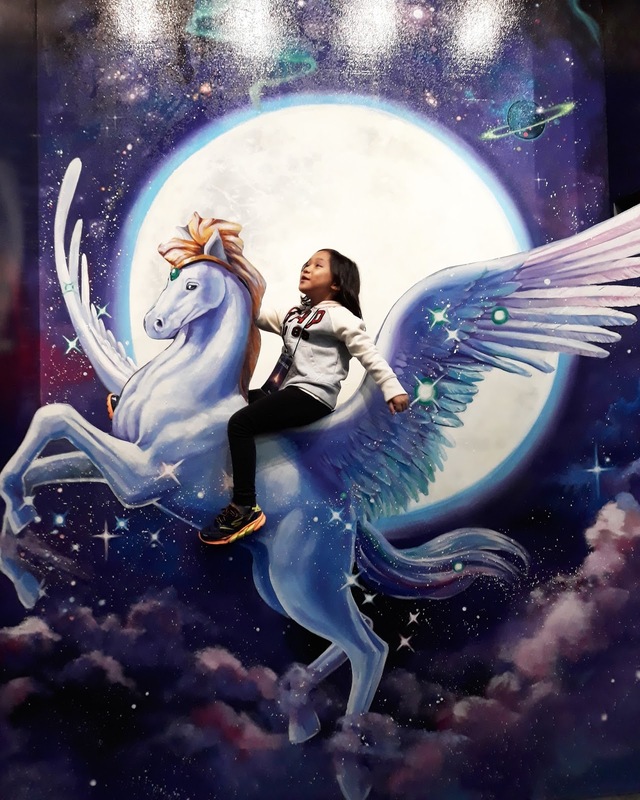 Visitors will be blown away by the world of imagination created by the murals that cover almost every inch of the space with imaginary scenes such as a UFO and prominent landmarks such as the Gwanghwamun Square in Seoul. 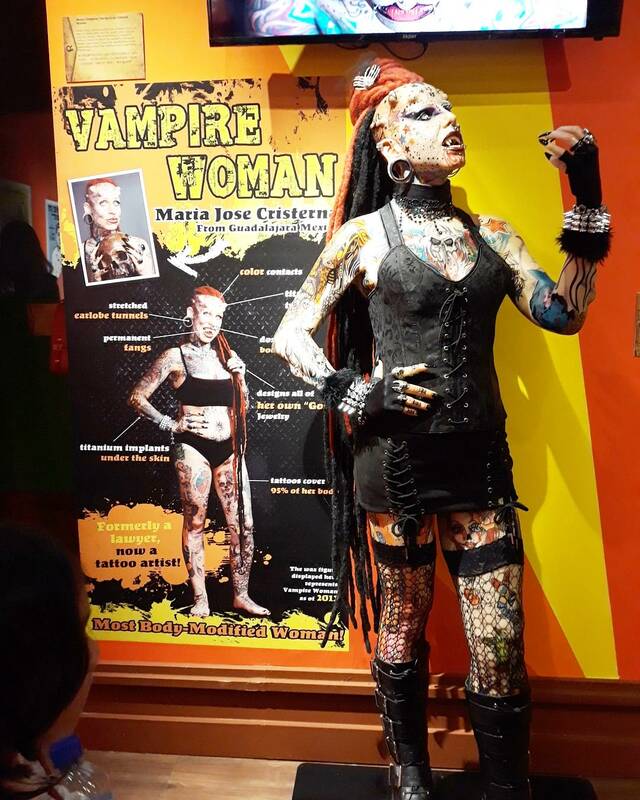 The trick art Alive Museum is a must-visit for those wanting to add something special to their social media. The PlayTime! 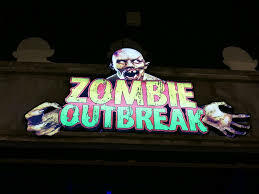 Video Games Park promises the best range of cutting edge games for arcade lovers. The Spacetime Squad Virtual Reality game takes it to the next level to give players an out of this world experience. Players must try to stay alert whilst a horde of flying evil robot destroyers and their bosses attack from every side and see the avatar annihilate them systematically. Other top of the line games are the highly competitive PacMan Battle Royale with a cannibalistic element of ‘eating’ opponents; the Jurassic Park where players can try to battle their way through 9 exciting missions and meet over 30 species of dinosaurs along the way; the Star Wars Battle Pod where players battle their way through the original iconic trilogy and Storm Racer G for those who love speed. Games are played using a cashless system with the EZiCash card. If the PlayTime! Video Games Park is for teenagers, then the arcade games in this area for are perfect for the toddlers. If visitors are feeling lucky, they can play the happy arcade game at RM10 per try to win headphones, smart phones and even a Macbook pro. For the little ones from 2-12 years old, Jungle Gym is a wonderland of free play for kids to run, climb, jump, slide and tumble around whilst simultaneously developing their sensory scales. Whilst parents sit back and relax, it promises endless hours of fun for kids with a ball pit, slides, crawling tunnels, trampolines, a Movie room and more covering approximately 7,900 square feet. 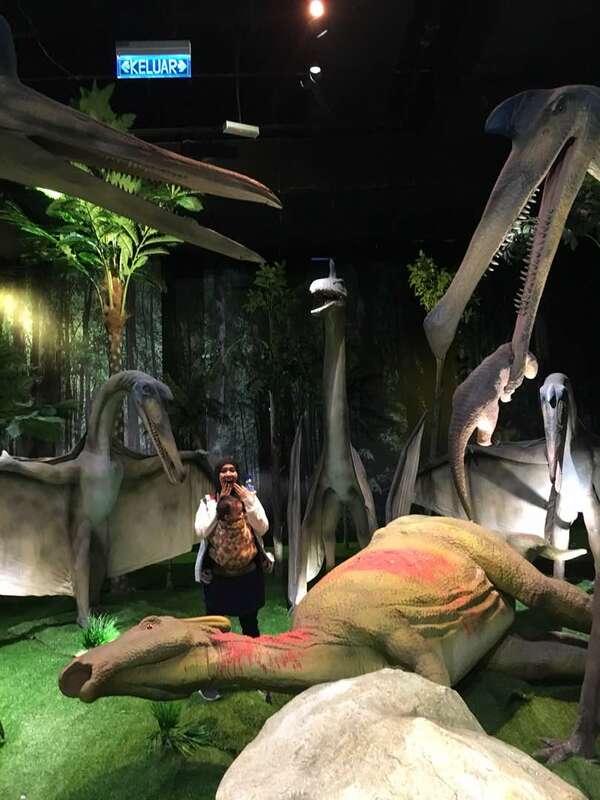 It’s also the perfect place for little princes and princesses to celebrate birthdays with a range of exciting themes such as the Safari, Dinosaur and Fairy Tale. Available upon special request, it is guaranteed to be a memorable birthday and a cherished memory. There is also an adjacent snack bar for a quick pick-me-up and a sand art corner. Those who have had their fill of excitement and are seeking to unwind can have a few hours of pure bliss and relaxation at Healing Touch. The wellness studio will offer a quick recharge for the body and pampering from head to toe with their special services such as facial care, manicures, pedicures, body therapy, onsite chair therapy and more to suit each individual’s requirements. For a good soak to rest weary feet, there is the kissing fish spa as well. Visitors will emerge feeling better rested and relaxed than ever before. Whilst going from one attraction to the next, visitors do not even have to travel very far to look for great eats. 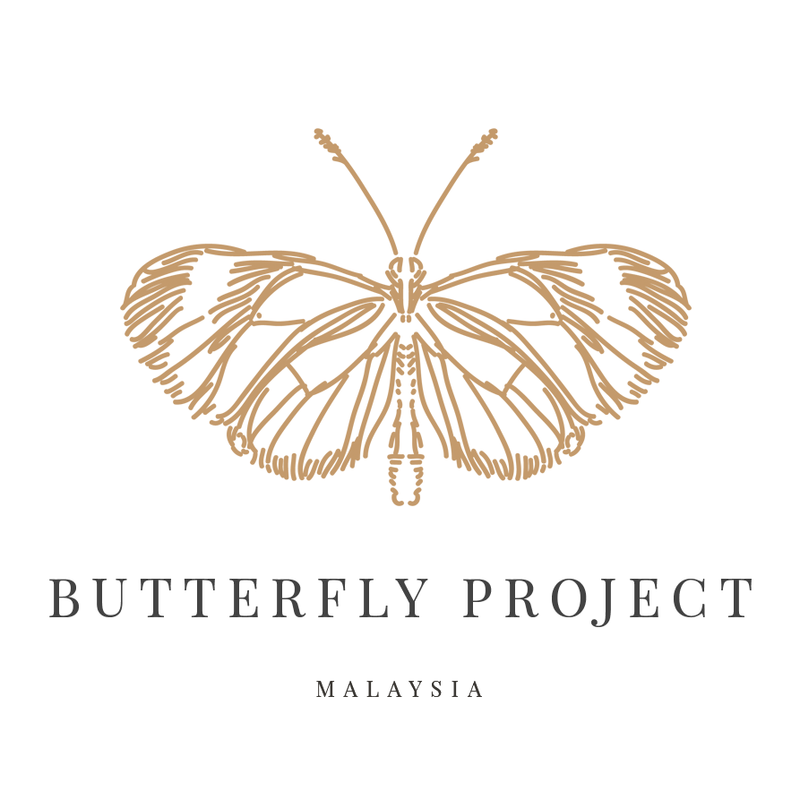 Among the food and beverage outlets available are Wendy’s, The Baker’s Cottage, Texas Chicken, Pizza Hut, Kenny Roger’s Roasters, Marrybrown, Jr Curry House and Only Mee and Boat Noodle. Also opening very soon is Subway and J&G Chicken from Taiwan. There are also many stalls around the Marketplace area offering airbrush tattoo services, cute character backpacks, ice cream and more. Operation times are from 10.00am to 10.00pm. Prices for the attractions may be purchased separately or in a combo of two or three attractions. Prices vary for standard tickets for adults and children and for Genting Rewards members.